ZIP files on this site are password-protected with the standard password. If you don't know it, look at the "about" page of this website. Today is not just any Friday. It's first Friday of June, which is National Donut Day! With that in mind, you pick up a dozen donuts at Bob's Donut Shack before heading to work. The store is run by a woman affectionately called "Granny Hightower" by the locals. She's been running the donut shack since Bob (the original owner) died several years ago. 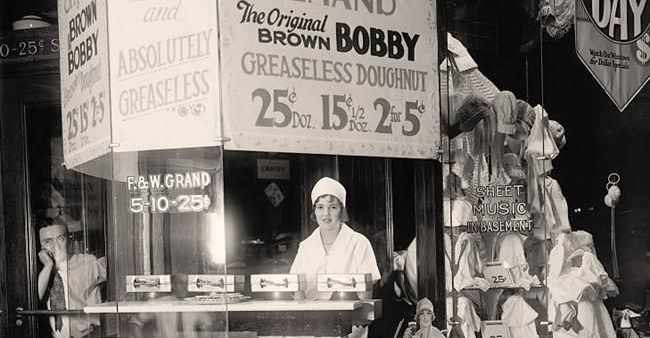 Shown above: Granny Hightower was selling donuts long before she became a granny. As you walk into the store, Granny asks you to check a Windows desktop in her office. She's always been pretty sharp about computers, and you're happy to help out. Last month she even had you set up network monitoring for Bob's Donut Shack. 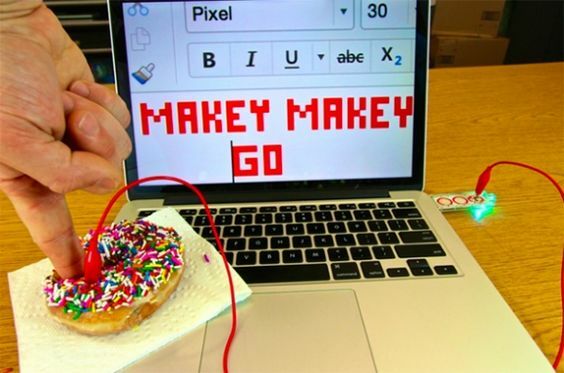 Shown above: Computers and donuts often come together in surprising ways. Granny Hightower promises you a dozen donuts if you investigate what happened to her Windows desktop computer. A quick forensic check on that desktop reveals some malware, so you ask Granny to re-image the computer. You copy the malware and retrieve network traffic for the appropriate timeframe. Finally, you gather some suspicious emails from Granny's email server. It all fits on one of your thumb drives. Shown above: You always carry a thumb drive for situations like this. "Granny, I've got to get going," you say while dropping the thumb drive in your backpack. "Don't want to be late for work!" "Don't forget your donuts," she replies. A bit later, you arrive at your place of employment, ready for another shift as a Security Analyst at the Security Operations Center (SOC). It's a slow night, so people are bored, and the donuts are quickly eaten. You have time to investigate what happened with Granny's computer. What is the host name, MAC address, and IP address of Granny Hightower's computer? What items of malware were found on Granny's computer? How did the malware get there?